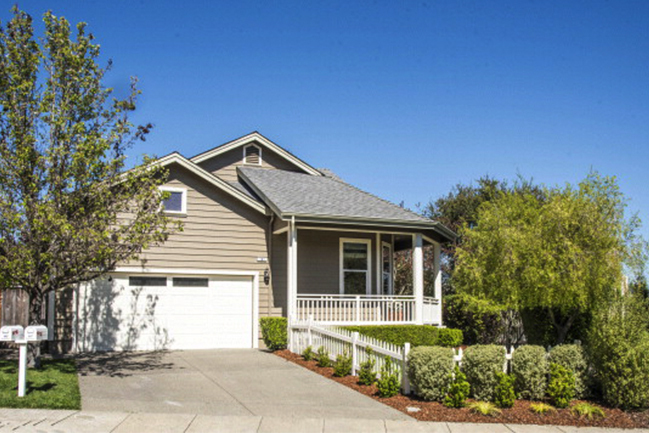 Located in beautiful Corte Madera, 107 Madera Del Presidio is the original model home for this sought-after neighborhood. This idyllic, private, single level home has the ability to cater many different age brackets. 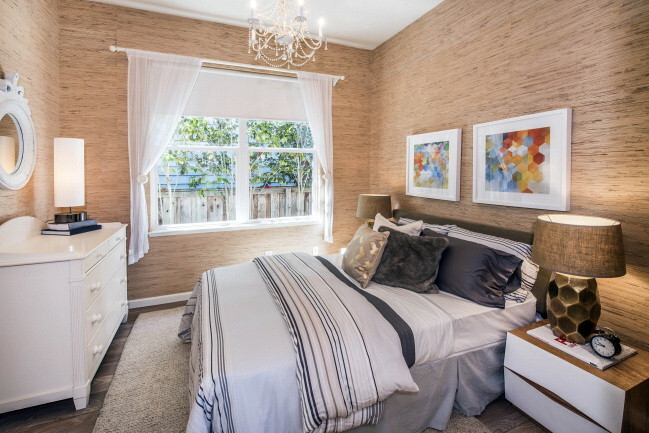 The property has a beautiful fenced front and back yard and a sophisticated, stylish yet very comfortable feel throughout. The three bedroom, two bathroom home sits on a corner lot with great sun exposure and is surrounded on two sides by lush open space. 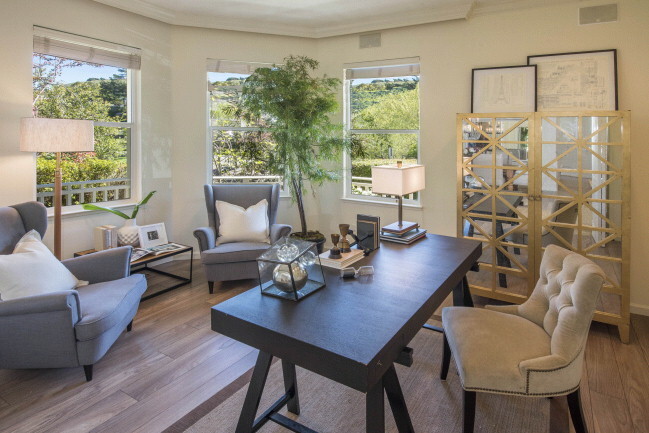 When you walk into 107 Madera del Presidio, you truly feel like you have come home. 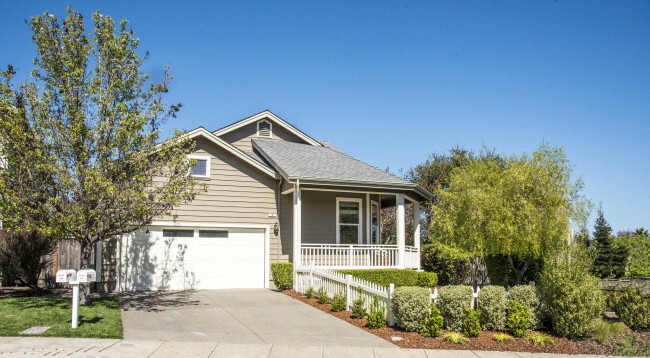 The entry welcomes you to a formal dining room and a potential 4th bedroom or office. The open floor plan, high ceilings and breakfast nook open to the light filled kitchen/family room. The vaulted ceilings, Sensa grey-toned wood floors from Germany and built-ins bookcases infuse charm into the living spaces. The kitchen features granite tile counter tops, new hardware throughout, a stainless steel Bosch range, dishwasher and microwave and GE refrigerator and trash compactor. 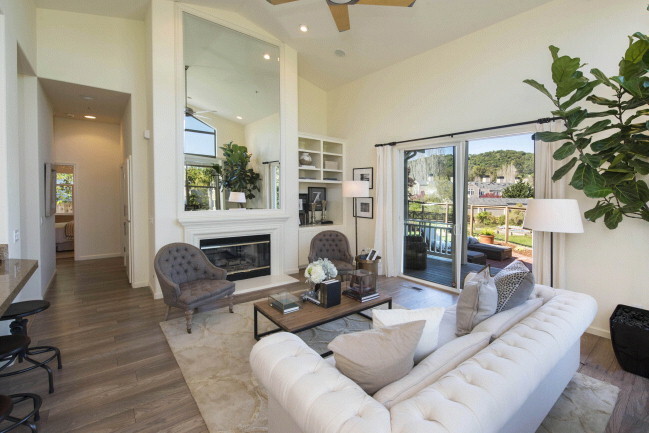 The sunny family room is the perfect casual entertaining space as it opens to the beautifully landscaped backyard which looks out over the open space. 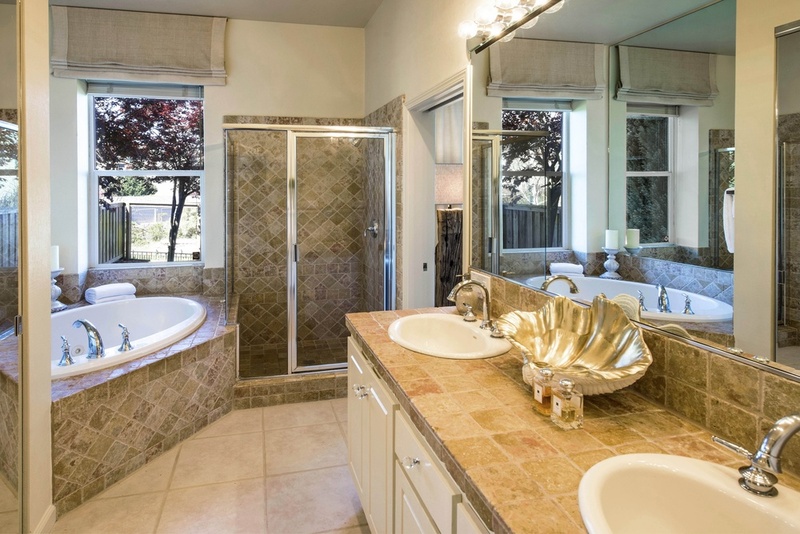 The stunning master bedroom suite looks out over the backyard and has views of the creek and includes a double vanity, tile countertops, white cabinetry, a jacuzzi tub and shower. The other two gracious guest bedrooms and full bathroom are as chic and comfortable as the master. 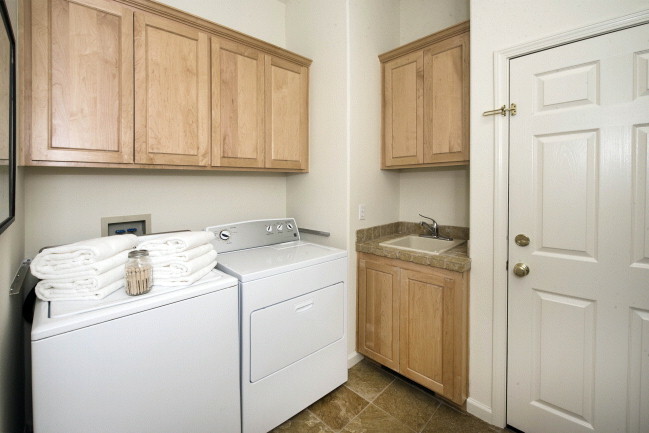 Down the bedroom hall is a very functional mudroom/laundry room and a two-car attached garage with ample storage. Simply an incredible location, 107 Madera Del Presidio is directly across the street from a children’s park and is in walking distance to the Nugget Market, the Village at Corte Madera and the Corte Madera Marsh Marine Park walking path, etc. 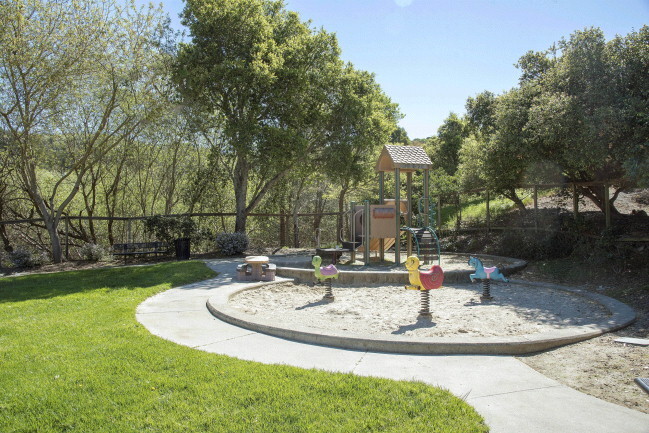 Most notably, the home is just a short walk to the coveted, brand new Cove Elementary School, which has been receiving rave reviews from kids and parents alike for its great education and fabulous family community. Additionally, you have one of the best commutes available from Marin to San Francisco and the East Bay.